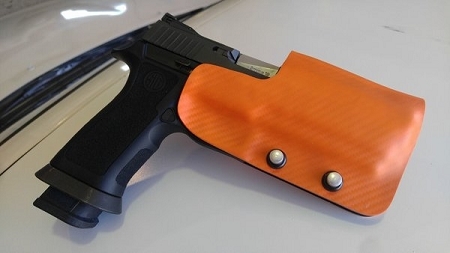 This is the top of the line Red Hill Tactical Competition Holster as used by many shooters around the country. 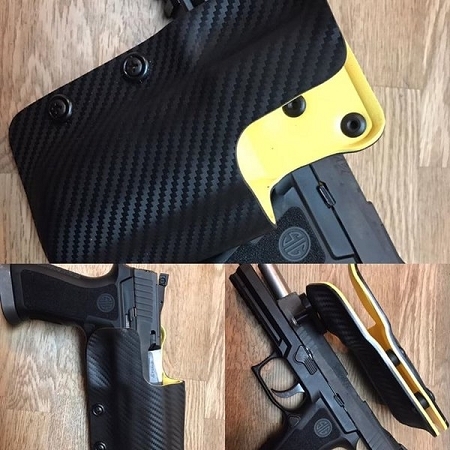 This features two layers of Kydex to add a great deal of rigidity to your holster. In addition to the rigidity it gives you the ability to further add to the custom look of your rig. 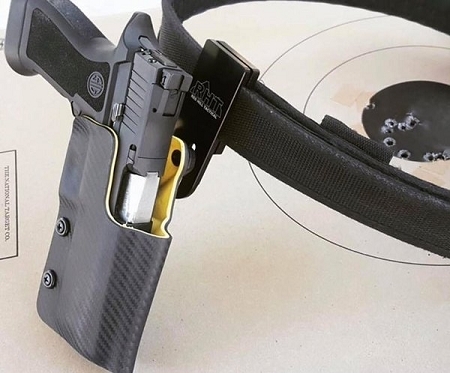 We do recommend that any gun over 35 oz be a double layer holster. This is a single layer magazine pouch designed for bullets forward carry. It comes standard with adjustable tension and no attachment. The magazine pouch comes with a Tek Lok to attach to the belt. These only come with a closed front on the packages. The package comes with 4 magazine pouches at the request of many customers. 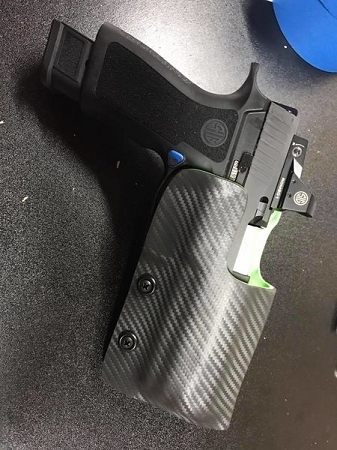 The pouch will match the same color as the kydex.